Last week I had the pleasure to attend the HoliDAY of Play event in New York! At the event they introduced the Hot 20 Toys for this holiday season, including Let’s Imagine Elmo, the Twista transitioning bike and, of course, the Disney Frozen Snow Glow Elsa doll. We also learned about the hottest Tech Toys for this season such as the Leap Frog Leap TV, Crayola Virtual Design Pro Fashion Collection (comes in cars, too!) and the VTech InnoTab Max. We were able to see and touch some of those toys and more! Here are my top five favorites for toddlers/preschoolers from the event. 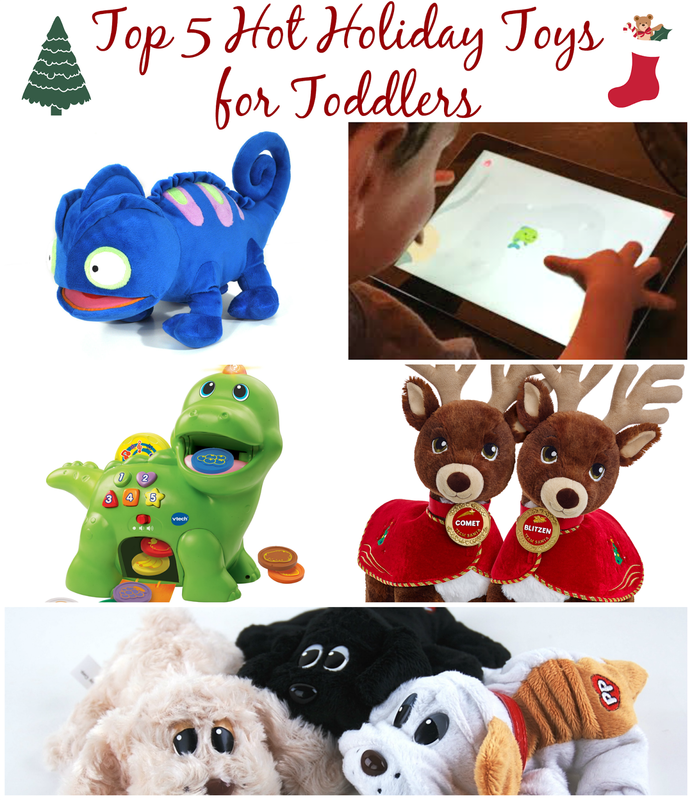 This top 5 list contains my favorites from the HoliDAY of Play and 5 toys I know my son would love! He is 2 years old and loves plush toys, balls, trucks, trains and technology. 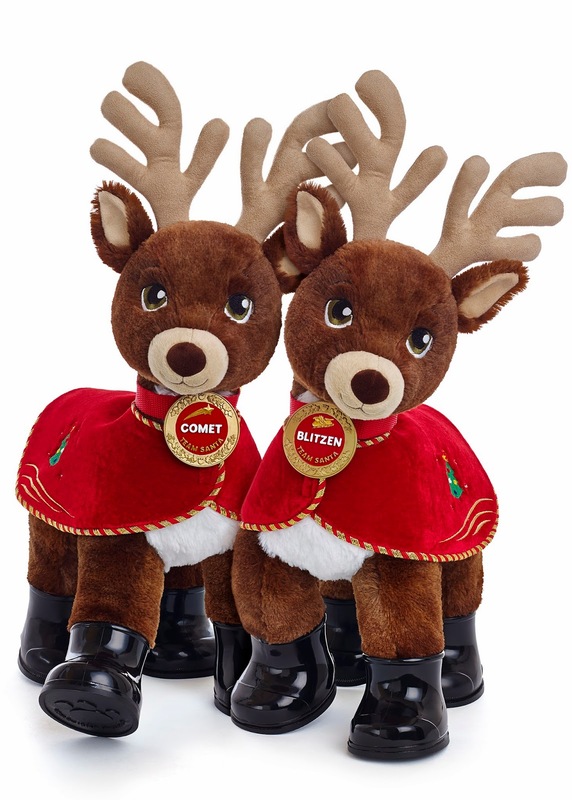 I love these cute reindeer from Santa’s Workshop! There are 8 to chose from and your child can take a quiz online to pick out which one is just right for them. They also have Rudolph and Clarice from the ever popular Rudolph the Red-Nosed Reindeer movie to celebrate the 50th anniversary of the movie! 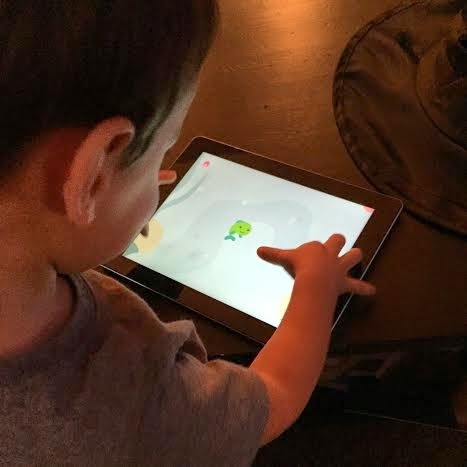 Tots can learn about numbers, colors and shapes from the dino by feeding it the coded coins! It has a counting mode and food mode. 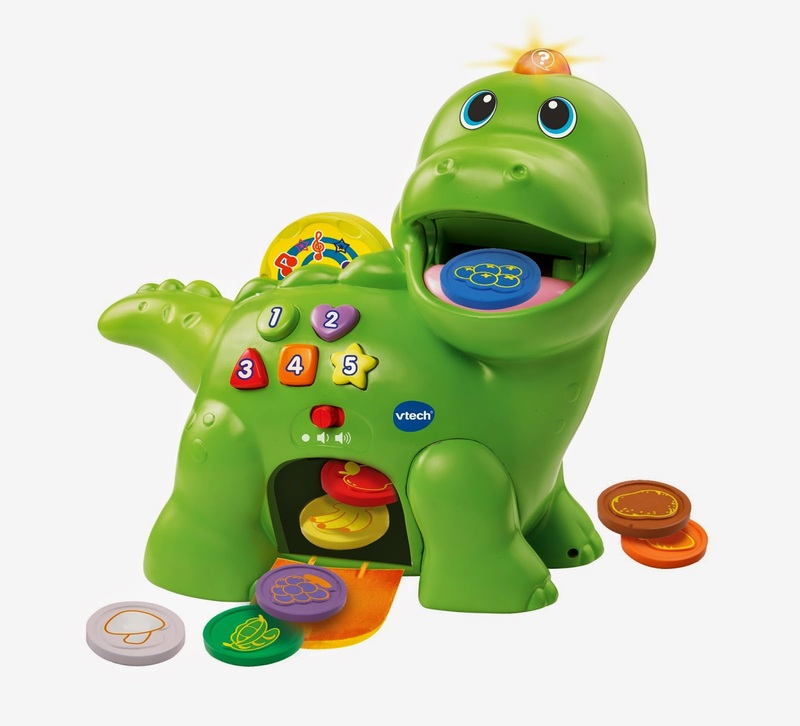 The dino can also ask your kid questions which can then be answered by inserting the correct coin! 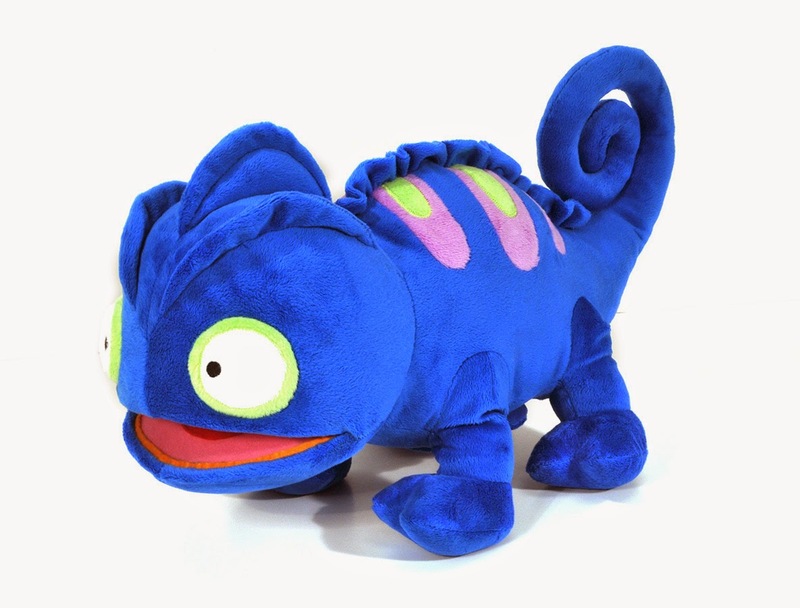 This plush chameleon is actually a glow pillow which lights up to provide comfort at night and help kids who may be afraid of the dark or sleeping on their own. It also play soothing sounds and has a sleep timer. 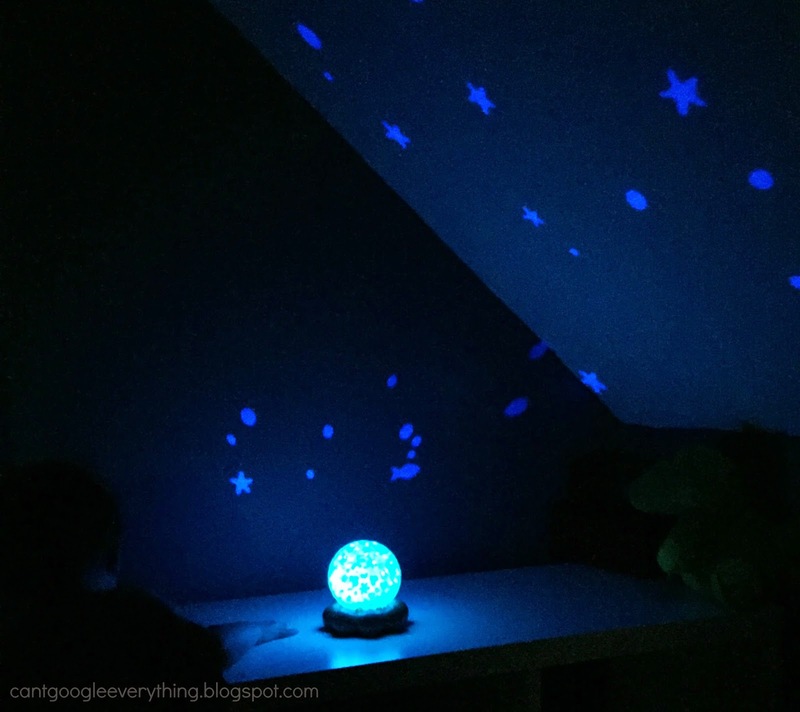 Another product from Cloud-B, which my son absolutely loves, is the Starlite globe! The globe lights up to glow as a night light and also projects shapes around the room! My son loves this light and every night turns the lights off in the living room so he can turn his Starlite on and watch the shapes! Remember pound puppies from your childhood? They are still around and just as cute as ever! Each puppy comes with an adoption certificate and facts about the breed of dog. They come in three sizes, including a tiny key-chain size! The sister company to the popular Toca Boca apps, the Sago Mini games are open ended worlds with various characters that interact with the world around them. I downloaded the Ocean Swimmer app for my son and he is in love with it! The fish swims around and interacts with other fish, boats, birds and other sea treasures. Just plain fun. They also have a space explorer, forest explorer, music and more! There were so many amazing toys at the event I wish I could share them all! Many of the toys were perfect for older kids in elementary or middle school, so I wanted to keep my Top 5 list to toys for my son’s demographic age group. I will be posting more pictures from the event with a lot more of the toys on my Facebook Page so be sure to check out my HoliDAY of Play album there! What toys are you looking forward to this holiday season? TOCA BOCA!! We love all of those apps but don't have the fishy one yet. Cannon is going to love it. It sounds like you had a great time at the event! I wish I could have gone. These toys look like a lot of fun. I'm sure my son would love that chameleon! I love the colors of that Charlie the Chameleon. SO FUN! Rachel- My quick look at our headline and I thought you were updating us on Broadway for the season, lol! Looks like a great event. Its getting more difficult to choose for my 8 1/2 year old grandson… cherish these cute little things while they last. Love the chameleon and pound puppies! And we are also a big Toca Boca fan.,,we will have to check this one out. Really cute stuff, love that light thing. some great ideas here! I never know what to get for little kids!